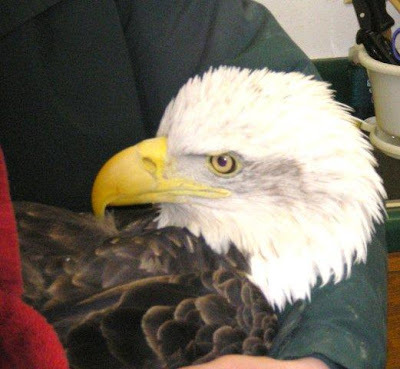 I've been up much of the night with a very critical Bald Eagle suffering from lead poisoning. Forgive me if the blog lacks energy this morning. In a week when we are releasing many recovered patients, we continue to admit others. Much of the weekend was spent doing exit physicals and driving to release the 3 Bald Eagles near Madison. However, 6 new patients came in as well on the weekend. As exciting as the releases are, we can never forget the new patients back at the clinic. 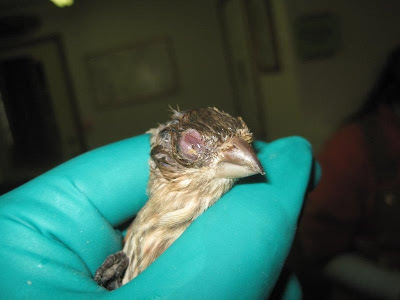 House Finch conjunctivitis is a problem we see every winter. It is a contagious disease that affects a few species of small finches. Those that we see the most often are include Pine Siskins, Goldfinches and House Finches. 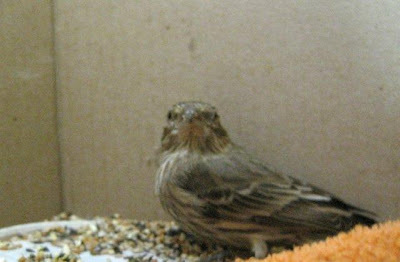 The House Finch in the photos below is suffering with the condition. 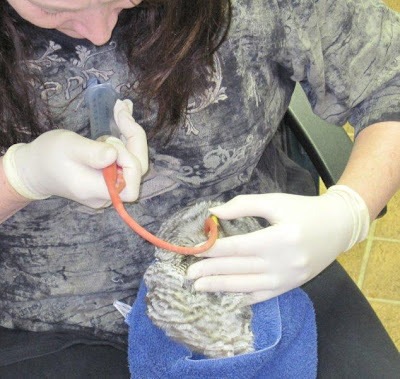 She has recovered, but we want to make sure she will not be contagious to other wild birds before she is released. We keep up with the most current data on the subject of wildlife disease. Some feel the disease continues to be contagious after it resolves in the original patient, others suggest it is not. 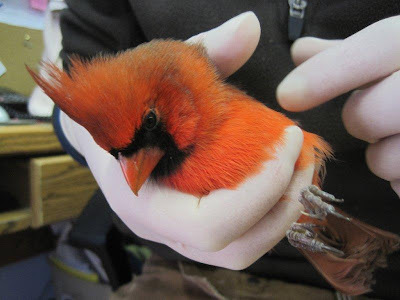 We will evaluate the situation and the newest information before this bird is released to the wild. 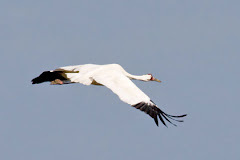 We never want to jeopardize the wild population. 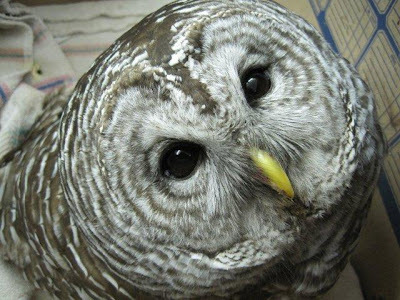 Barred Owls are some of the most beautiful of the owl family. With their large, deep brown eyes and gentle demeanor they are "easy patients". Sometimes it is nice, especially on more challenging days, to have an "easy patient" in the mix. I found myself smiling while caring for this Barred Owl last night even with the stress of the eagle overwhelming the night. There is so much to catch up on. I will do the next chapter on the eagle release soon I promise.